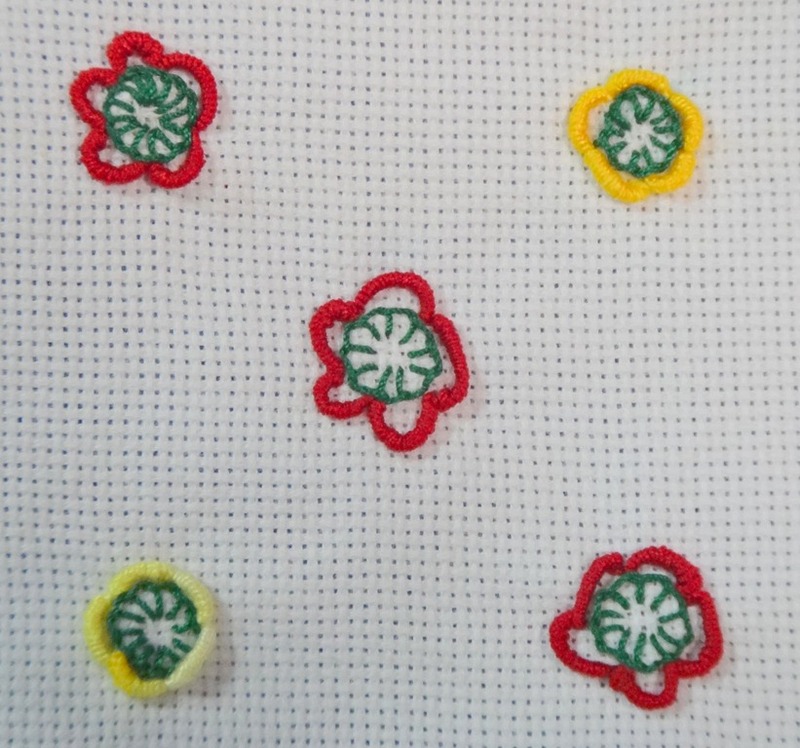 The first week in December for Take A Stitch Tuesday used the Buttonhole Eyelet flower stitch. This stitch is a combination of Button hole wheel and Bullion stitch which we had earlier in the year. For the first week of my December block for Crazy Quilt Journal Project I used the Buttonhole Eyelet flower stitch as well as plain Buttonhole stitch, Chain stitch, and French Knot stitch. This entry was posted in Bullion stitch, Button hole, Buttonhole Eyelet flower stitch, chain stitch, CQJP, December, French Knot, TAST. Bookmark the permalink.